The Authority's bond financing program is managed by the Chief Administrative Officer's office. Albert Bryan Jr. is the eldest son born to Albert and Genevieve (Pilgrim) Bryan. Born on February 21, 1968 on St. Thomas, U.S. Virgin Islands, he and his four brothers, Troy, Robert, Andre, and Alrick, lived with their parents in the historic St. Thomas neighborhood of Savan. When Governor Bryan was a teenager, Mr. Bryan, Sr. moved the family to St. Croix. in 1985, Governor Bryan matriculated at Wittenberg University in Ohio and earned his Bachelor of Arts degree in Economics in 1989. Immediately after college, Governor Bryan returned home to the Virgin Islands where he began a lengthy and successful career in both the private and public sectors holding positions of responsibility at HESS Oil Corporation, the V.I. Housing Authority, and Innovative Communications. Due to his drive, work ethic, and ingenuity, he quickly climbed the ranks and earned more responsibilities and promotions at these jobs. The managerial experience gleaned at these private sector jobs and from working closely with and on behalf of a labor union would, in fact, be portentous for his future entry into public service. Not one to shy away from opportunities for education and learning enhancement, Governor Bryan earned a Master of Arts degree in Business Administration (MBA) from the University of the Virgin Islands in 2003. Governor Bryan has always exhibited a lifelong passion for politics and dedication to community service. His passion and dedication in these arenas were strengthened in 2002, when he co-founded Generation Now! Inc., a non-profit organization which filled a critical role in educating the public on key political and social issues, offering mentorship, performing community service, and providing leadership seminars and platforms for the younger professionals of the Virgin Islands. He also served on the Executive Board of the Young Democrats and other organizations where he was a tireless lobbyist for the improvement of life in the U.S. Virgin Islands. In 2007, Governor Bryan was appointed as the Commissioner of Labor by then Governor John P. de Jongh, Jr. During his eight-year tenure, he implemented the Jobs for America’s Graduates Initiative for at-risk youth, secured over $14 million in additional funding for training and improvement of services at the Department of Labor, and $150 million in federal unemployment benefits after the closing of the Hovensa Refinery. He also consolidated seven labor offices in St. Croix saving the government $300,000 annually and offering advanced access to client services. His approach of doing more through technology allowed the department to implement several new web-based tools for career preparation and job search including the Virgin Islands Electronic Workforce System (VIEWS) and Youthnet. During his tenure as Commissioner of Labor, Governor Bryan also served as Chairman of the Government Development Bank and, in his concurrent and parallel role as Chairman of the Economic Development Authority Board, ushered in new programs for the economic growth of the territory, including the first Tax Increment Financing project, the Small Contractors Bonding Program, and new levels of lending to catalyze the growth of small businesses. In the August 2018 Virgin Islands Democratic Primary, Governor Bryan was on the ballot for a public office for his first time. He and his running mate, Senator Tregenza A. Roach, Esq. defeated two other Democratic teams and went on to defeat six other formidable teams in the General Election in November 2018. 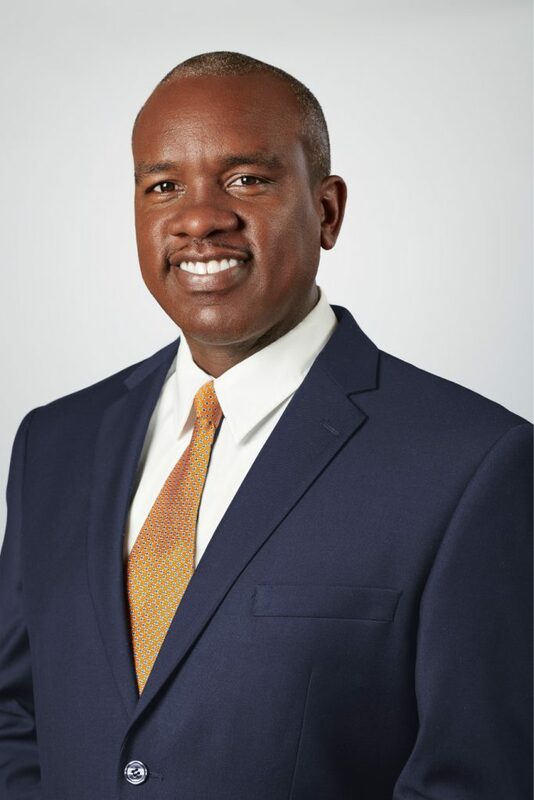 Governor Bryan succeeded in becoming the ninth elected Governor of the U.S. Virgin Islands winning the majority of votes in a hotly contested run-off election against the incumbent Governor Kenneth E. Mapp. Commissioner Callwood holds a BS in Finance from Norfolk State University, an MBA from Kennesaw State University and is a Certified Treasury Professional. Commissioner Callwood holds board positions with the Rotary Club of St. Thomas II and My Brother’s Workshop. In his spare time he enjoys serving in the local community and spending time with his family. Commissioner Callwood has held various roles in Finance and Treasury including over 13 years in Atlanta for large, multi-national companies. Commissioner Callwood has experience in industries such as banking, financial services, telecommunications and consumer goods where he managed relationships, optimized processes and provided support to finance and operational leadership such as CFOS, CEOs, Vice Presidents and Controllers. Most recently, Commissioner Callwood served as Chief Operating Officer of International Capital & Management Company. In his role as COO he had responsibility for Accounting, Cancer Support, Community Relations, Finance & Analytics and Property Management.